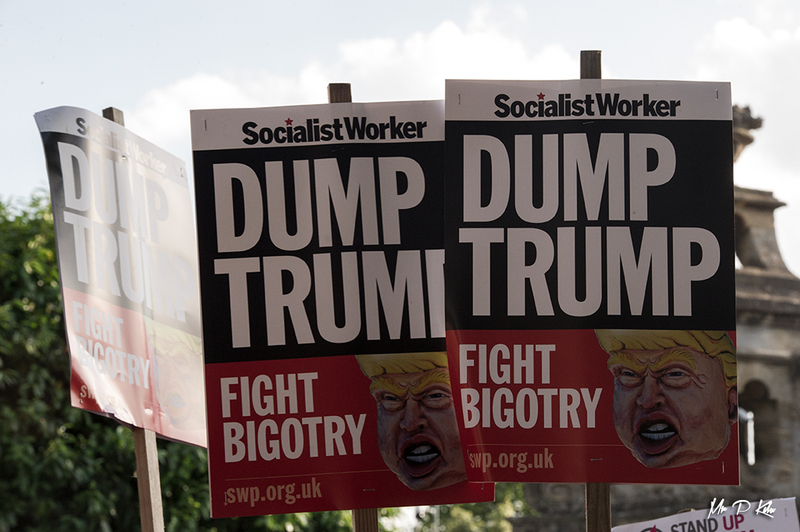 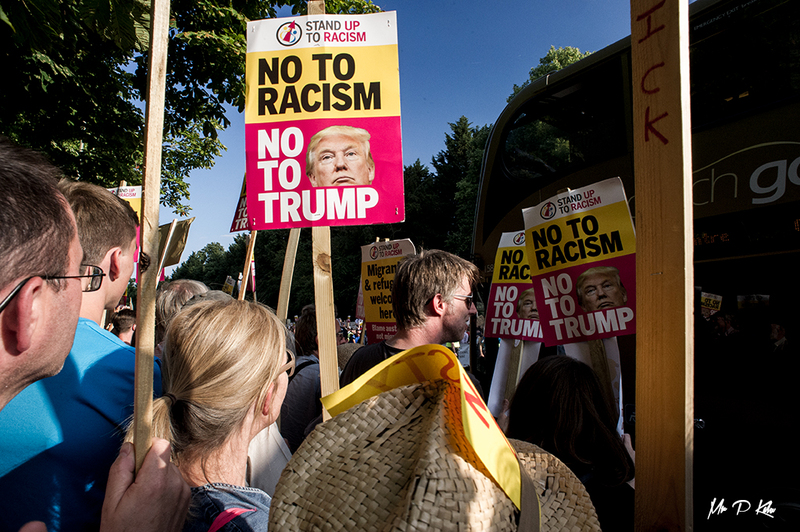 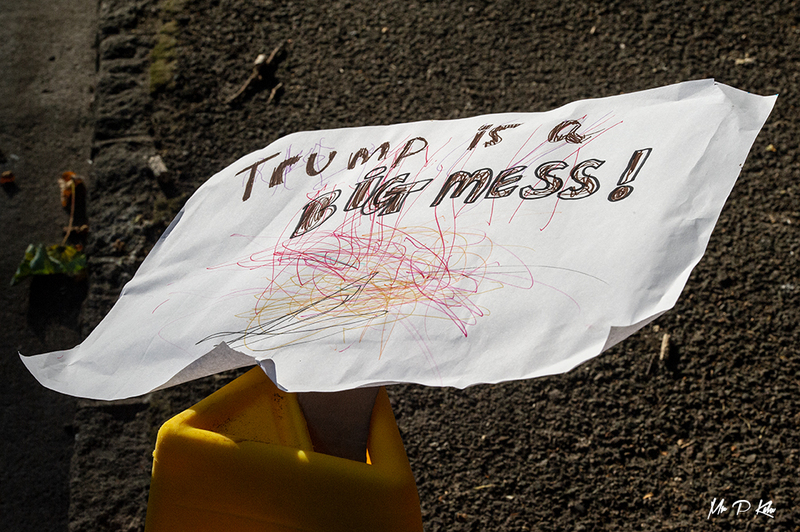 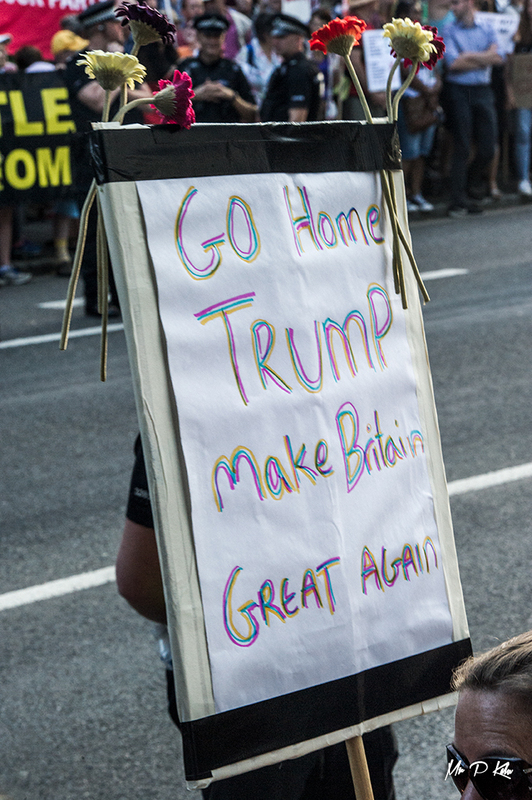 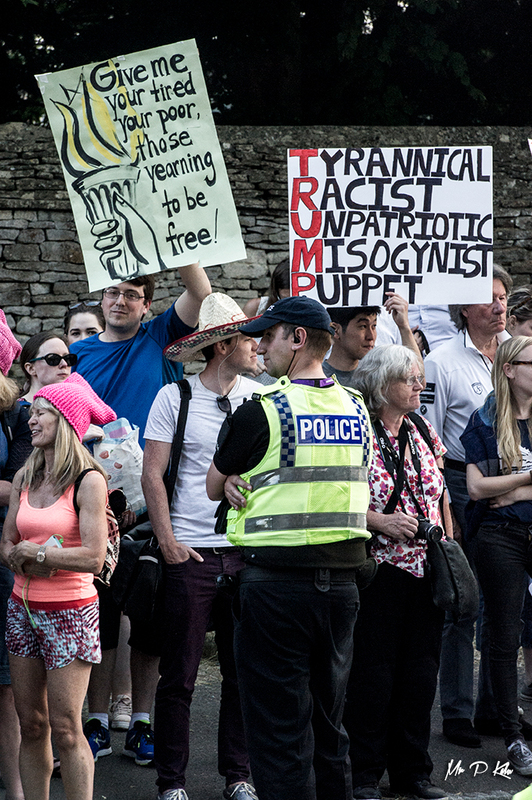 The President of the United States of America, Donald Trump, finally made landfall in the United Kingdom for his ‘not so’ state visit to the United Kingdom. 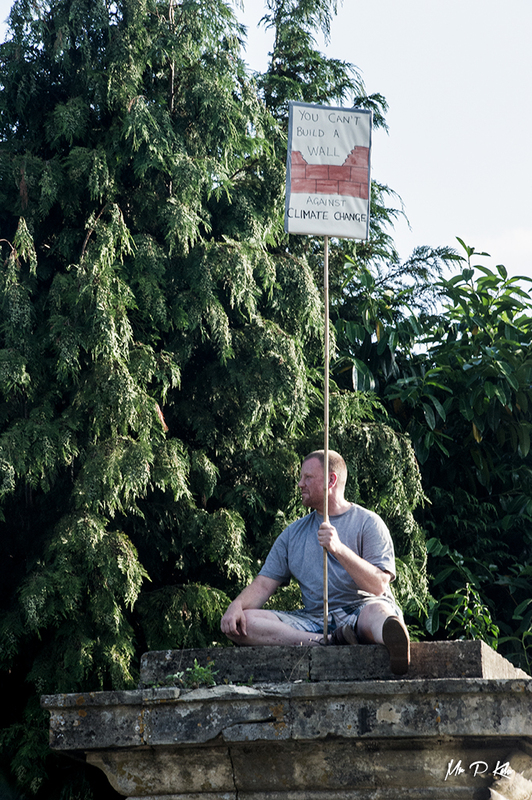 In ordinary times, the holder of this great office would be welcomed with open arms. 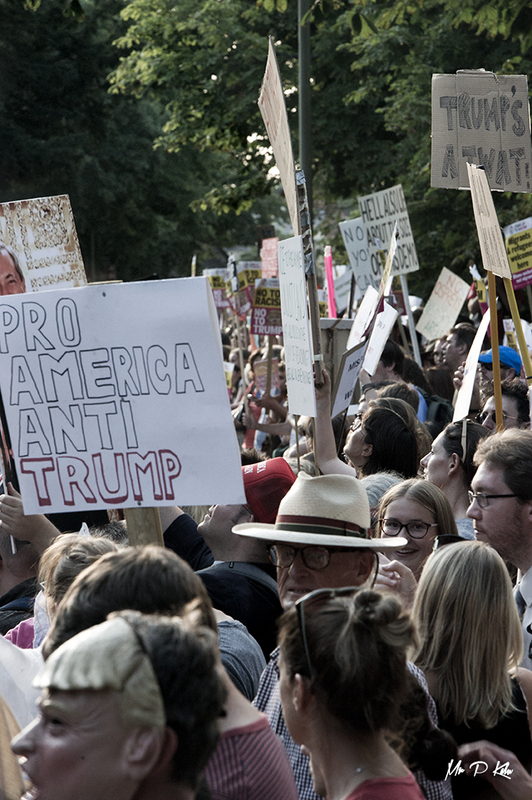 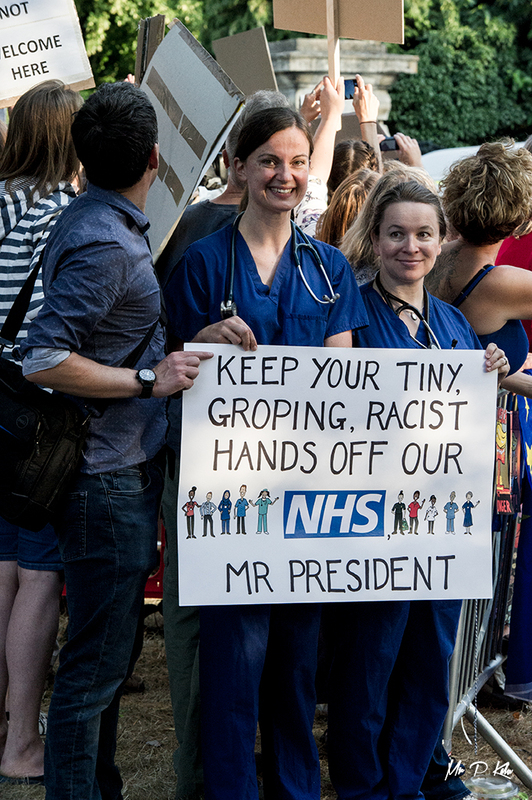 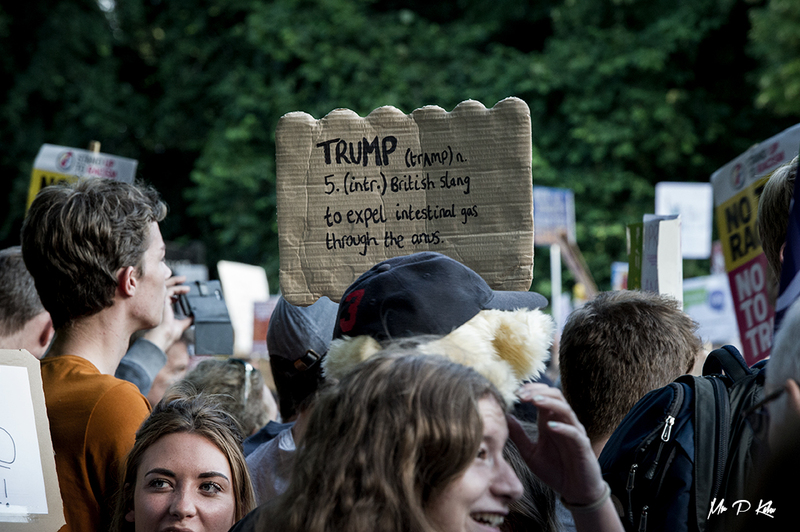 Unfortunately this President, unlike probably any other before him (and most likely to follow) has managed to galvanise a vocal section of the public to protest their objection to many aspects of all he represents. 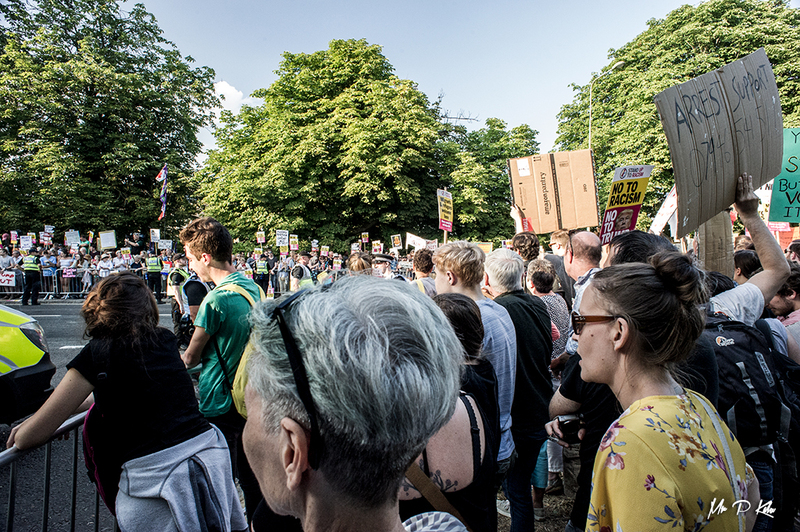 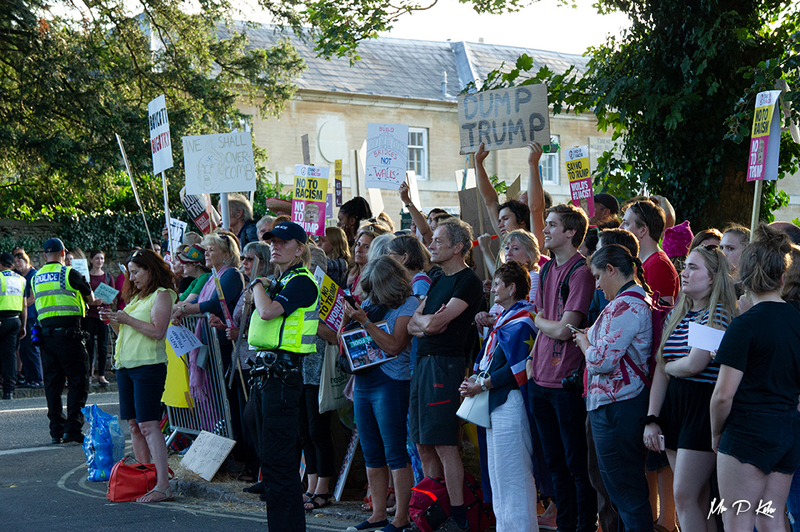 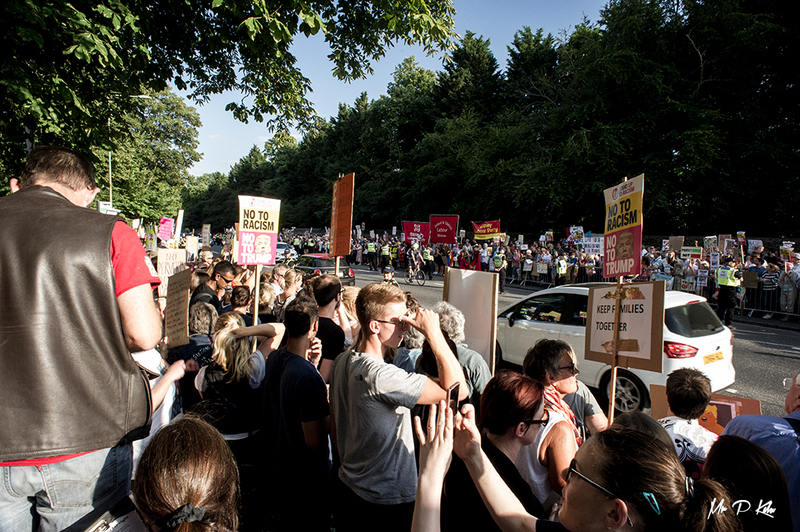 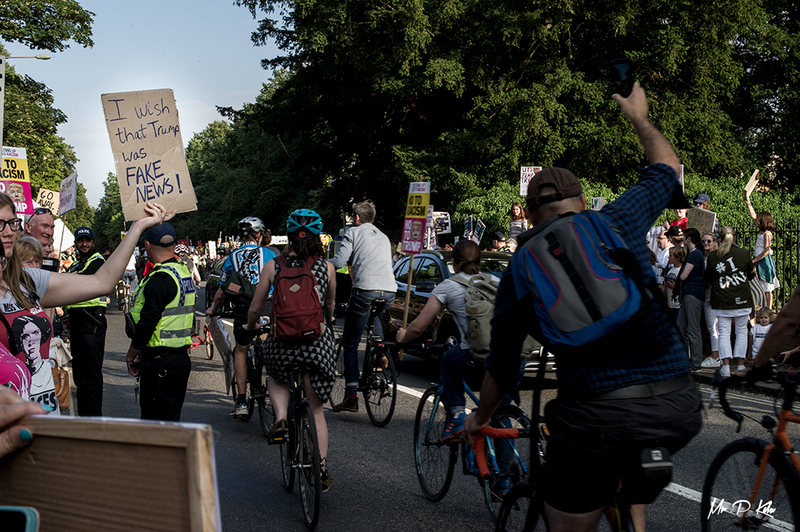 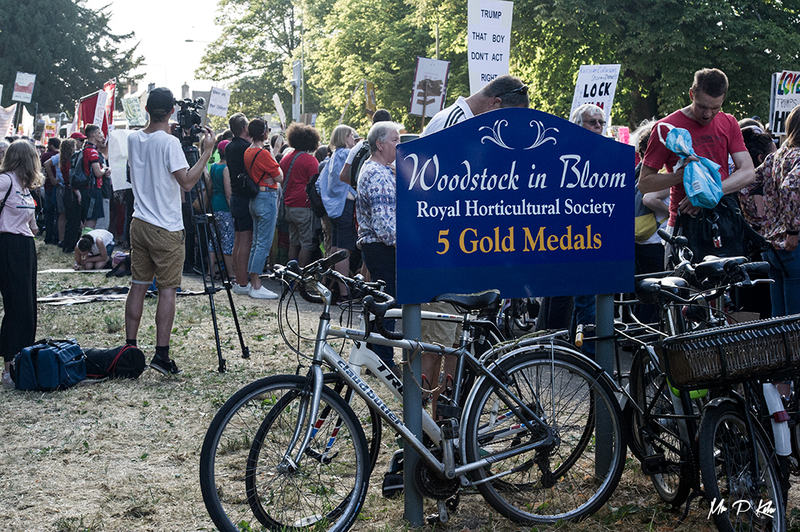 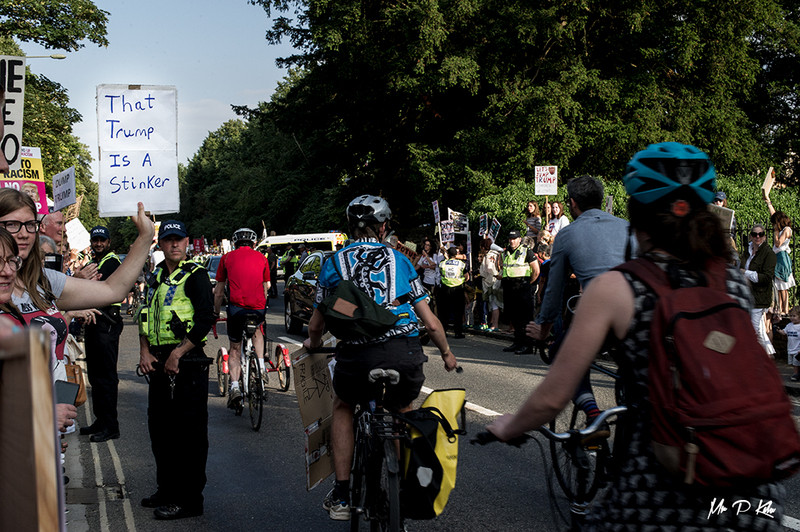 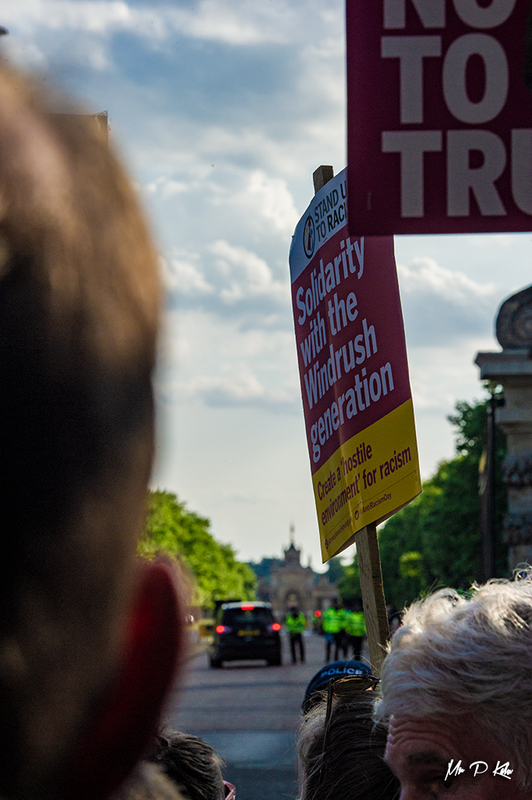 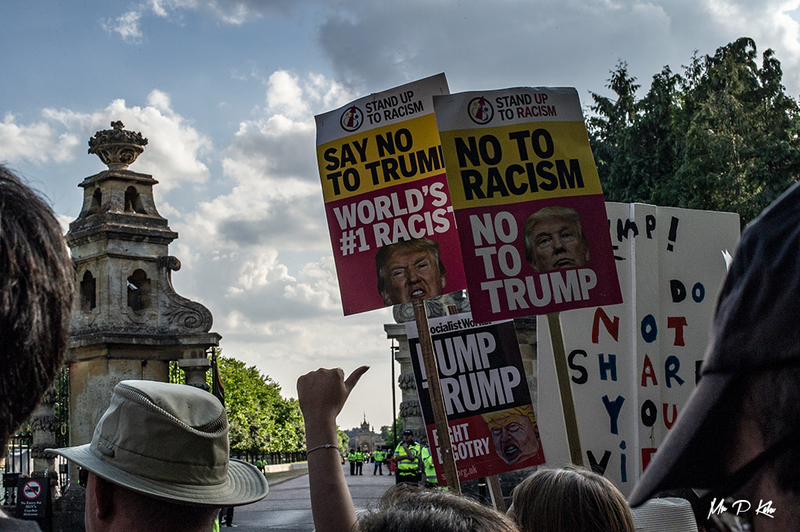 Traffic entering Woodstock slowly made its way past the gates of Blenheim Palace as protesters grew in numbers prior to the Banquet hosted by the Prime Minister and her husband. 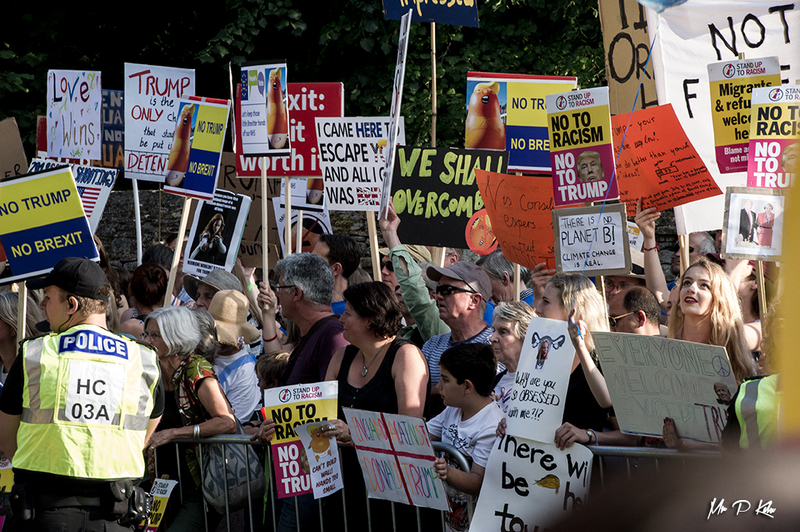 The President and his entourage entered the Palace grounds via an impressive collection of aircraft including V-22 Osprey attack helicopter, Marine Force One and decoy craft. 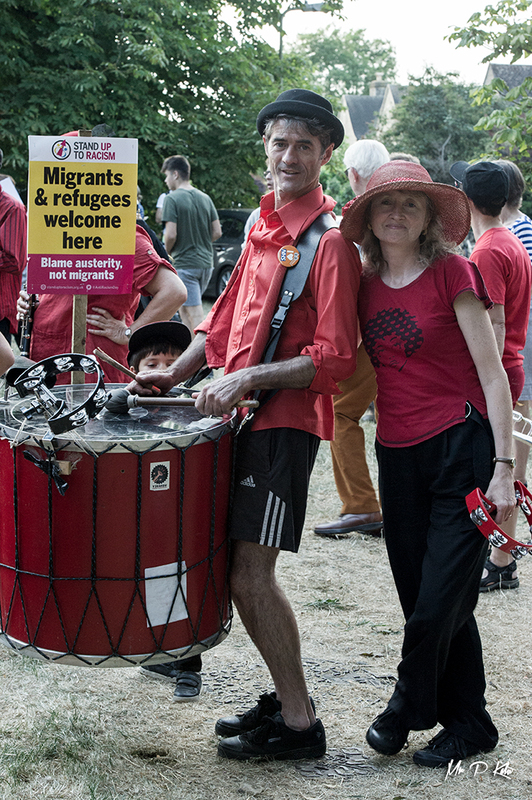 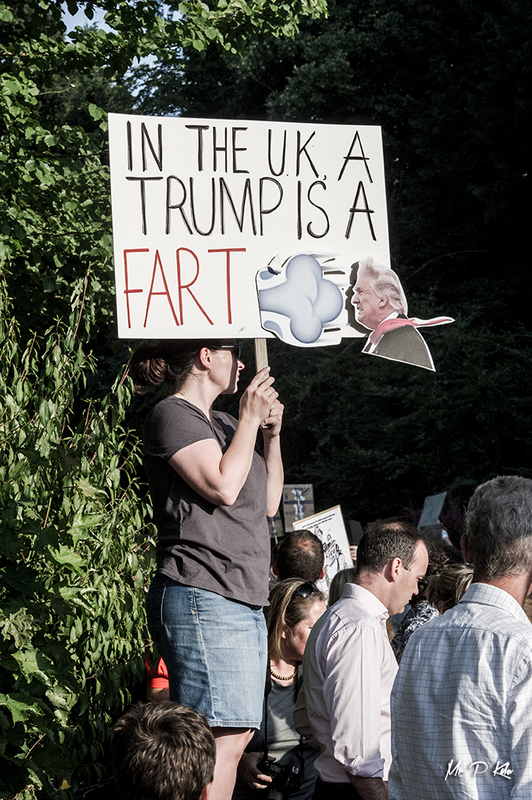 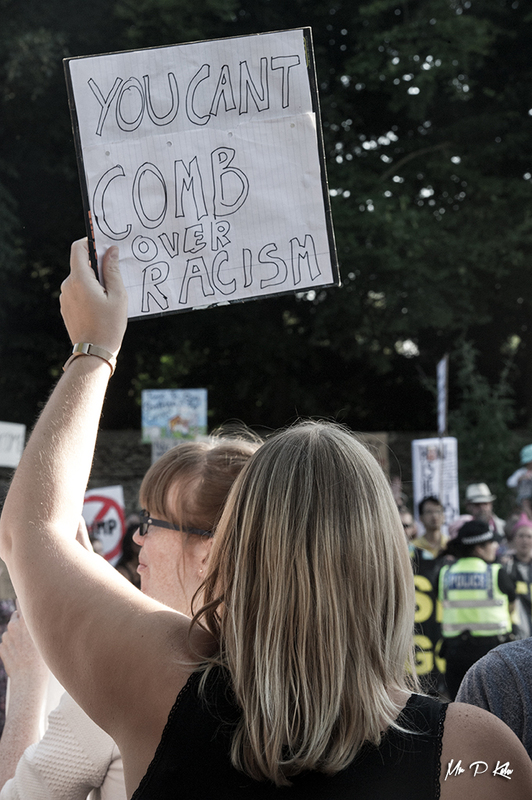 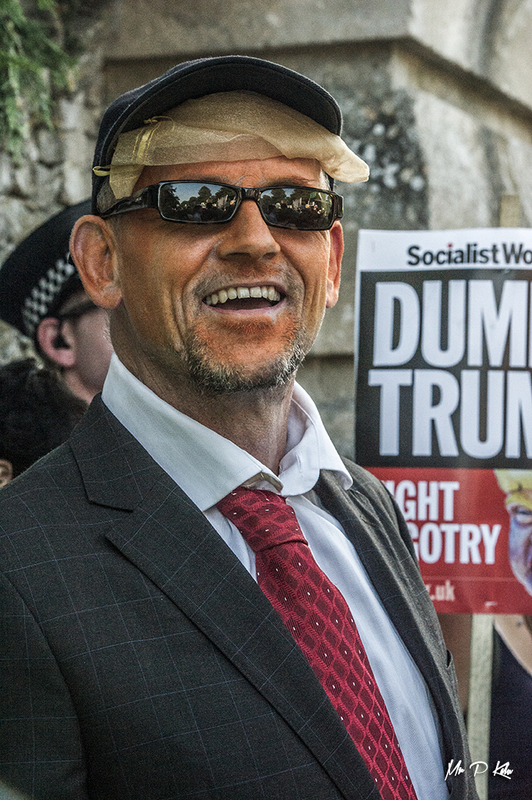 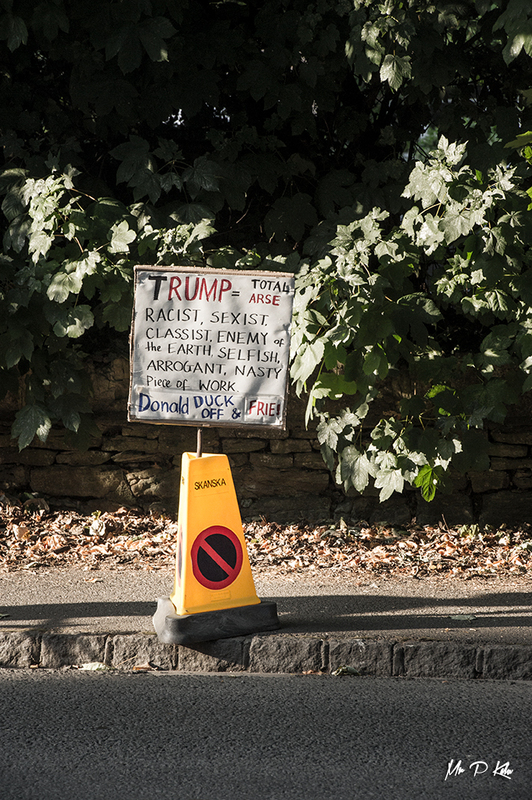 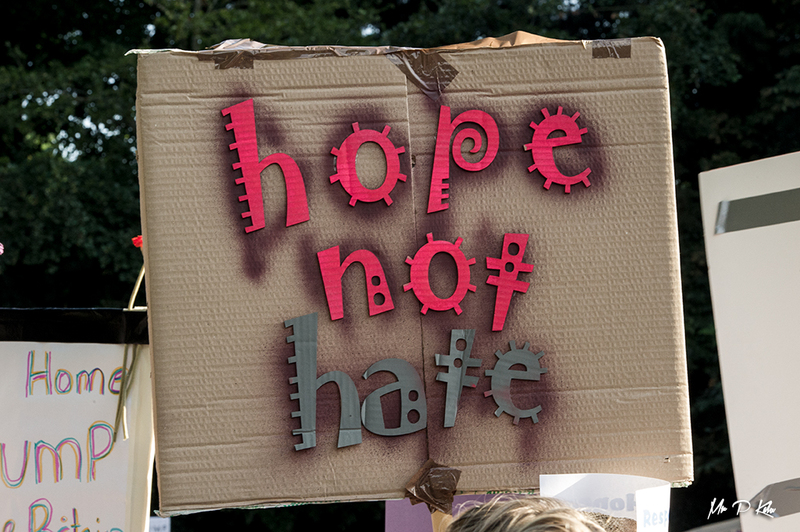 I’ve added some images from the day that the world’s media congregated on Woodstock in Oxfordshire for this unique event.